Normally, we tend to avoid clichés like the plague. While they were once clever and meaningful, these overused phrases have lost their punch, and end up making our writing or speech sound cheesy. But in honor of Cliché Day, let us all reflect on the fact that many clichés ring true, and can be found in none other than our favorite Disney movies. Meaning: If something belongs or pertains to you, accept it. In this case, that something was a literal shoe, and Cinderella did not throw away her chance to claim it. Not to mention, whether she was wearing rags or ball gowns, she owned those threads graciously. Meaning: To be in a situation you know nothing about or are unaccustomed to. Ariel’s experience in the human world left some of us pitying her for thinking a fork is a hairbrush, but can you imagine living in a world where you never have to brush your hair? Bliss. Meaning: An unpleasant experience induces caution. Pretty sure a bite of one poison apple left Snow White cautious around all apples. Or at least weary of strangers offering her free produce. Meaning: To relax and enjoy yourself. While some of us enjoy staying inside like hermits, adventure did not find Rapunzel until she quite literally let her hair down and left her tower. Meaning: When a situation becomes difficult, the strong will work harder to meet the challenge. Sure Hercules had god-like physical strength, but going to hell and diving into the Styx to save the woman he loved took strength of a different kind. Meaning: A son’s character or behavior can be expected to resemble that of his father. Ah, the circle of life. Simba may have tried to flee and lead a carefree life, but defend and rule Pride Rock like his late father he must. Meaning: To be very close friends and share secrets. Robbing from the rich and giving to the poor, Robin Hood and Little John have the kind of bestie status we all hope to achieve. Meaning: To go from being poor to wealthy. With the help of the powerful Genie, Aladdin goes from street rat to prince. Well, a pretend prince. We all know it’s really Princess Jasmine who shows him a thing or two about royalty. Meaning: If you love someone, you cannot see their faults or imperfections. Beast was a little scary. And moody. And kind of a creep for trapping people in his castle for no real reason. But Belle falls in love with him anyway! Meaning: Something much desired in not likely to ever happen. The type of undisturbed sleep Aurora gets thanks to Maleficent’s curse is something many of us can only dream of. The irony is not lost here. 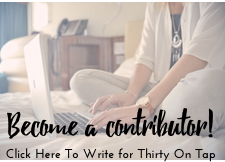 Megan is part of the Contributing Writer Network at Thirty on Tap. 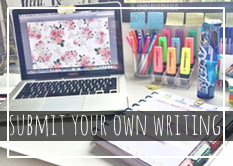 To apply to become a Contributing Writer, please click HERE. 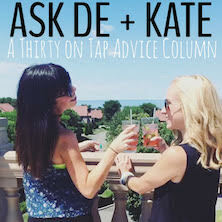 Ask De and Kate: How Soon is Too Soon To Move In With Your Partner?